"Hawai'i Island's grass-fed beef industry hopes to get a boost from $4.15 million dollars in improvements for the State-owned slaughterhouse in Pa'auilo. 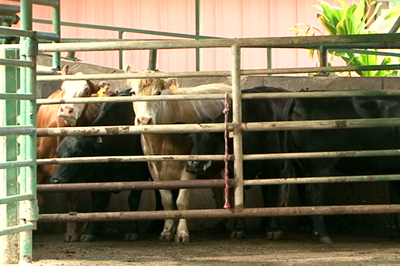 Officials say that when complete, the plant's capacity will increase by 40% and reduce the current processing backlog that makes it difficult for ranchers to bring their animals to market in a timely fashion." This is great news for all of the ranchers here in Hawaii... We grow twice as much beef that is needed to feed our islands yet only 17 pecent of the beef we eat here is grown locally. We believe in these improvements, and we believe in the benifits of a strong grass fed industry for our islands. We are excited to annouce the release of our new website! We have come along way in the last 12 years as a company... and with this new website we hope to better inform you about what is happening now and in the future. We expect to 100% operational by November 1st.